Here's the answer to all your questions on how calling will work on Reliance Jio. So, Reliance Jio’s network is live and as the telecom war heats up, there are a lot of questions on people’s minds. A curious thing about Jio’s network is that not only is it an all data network, it’s also an all 4G network. So, even your calls would be routed over 4G. Reliance has promised that you won’t be charged for voice calls, meaning the data used for calling will not be counted as part of your data usage. But how exactly do such calls work? To understand, we have to talk about the much touted VoLTE technology. VoLTE stands for Voice Over LTE, meaning your call is treated like all other data that goes in and out of your phone. VoLTE promises HD call quality, faster calls, and better use of data. So, unlike right now, your network won’t drop to 2G or 3G when you’re making a call. A VoLTE enabled phone can handle calling and other data-based activities simultaneously. To understand how VoLTE works, we need to understand how networks themselves work. Traditional voice networks use a technology called circuit-switching. In this, an actual circuit is dedicated to voice calls. A signal has to go through various switches in order to connect to the final receiver. In telecom, a switch is a device that takes the input signal from your phone and outputs it to the appropriate destination. Telcos have over the years laid out numerous switches, so as to enable calling from one point to the other. The problem is, switches can’t be used for any traffic, except the call they connected, while the call is still on. Also, a call must travel over a fixed path, through switches, in such a network. Circuit-switched networks have traditionally been used only for voice calls only, because they aren’t suited for data. Data, on the other hand, can’t be managed the same way. On VoLTE networks, data is exactly what calls are. When you make a call, your voice is broken up into tiny packets of data. These packets then travel over a packet-switched network from sender to receiver. While circuit-switched networks need calls to pass through a fixed path, data doesn’t work that way. In a packet switched network, those tiny data packets your voice was broken into, take different paths. So, while one packet may travel from Delhi to Mumbai and then to the destination, the other may go to Kolkata. All these packets, though, end up at the same destination where they’re decoded and your voice is transmitted to the listener. Also, unlike circuit-switched networks, the packet-switching is done wholly using computer servers. A packet switched network is made using optical fibre, over copper cables that circuit switched networks use. It is this packet-switching IP-based network that Reliance Jio employs for making calls work on its network. Fun fact: Packet-switching networks were first developed during the Cold War. VoLTE technology has actually been available for a while, but it’s only now that it’s coming to the fore. VoLTE has been marketed by all OEMs in their recent launches, but in a market full of nearly a billion phones, less than half are smartphones, and even fewer are VoLTE enabled phones. This is why Reliance has brought its own LYF branded phones. If you want to make a VoLTE call, you need a VoLTE enabled phone. Not only that, you need the receiver to also have a phone that supports VoLTE. Further, both phones must be on a 4G network, and if either one drops out of the network, calls may drop. So, even if Jio’s 4G connectivity is incredible, another telco’s network could lead to call drops. 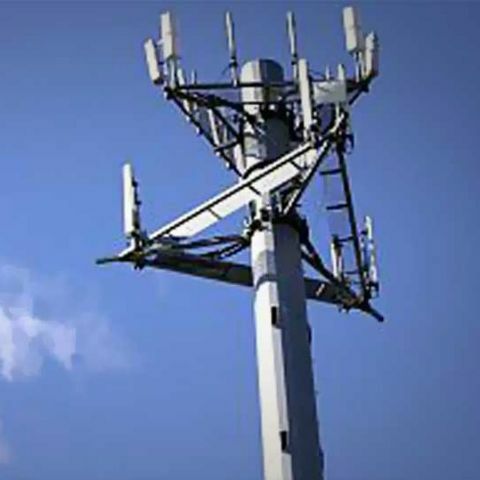 In the early days of Voice over LTE, network interoperability was also an issue. So VoLTE calls could only happen within a particular telco’s network. However, while this isn’t an issue anymore, network interoperability is still something Indian telcos are working on. Interconnect points, the physical point where telcos’ networks intersect, are the root of all evil in the Jio vs Telcos debacle. When Mukesh Ambani said over 5 crore Jio calls had been dropped, he was accusing other telcos of not providing enough interconnect points. The Telecom Regulatory Authority of India (TRAI) has been pushing IP-based networks for a while now, but it’s yet to happen. Telecom licenses in India currently allow interconnection between circuit-switched networks, and between circuit-switched and packet-switched networks. Interconnectivity between IP-based networks, though, is yet to be started, even though many do have such networks. So, Reliance is currently connecting to Airtel, Vodafone, Idea etc, through their circuit-switched networks. Hence, a call made over data from your Jio phone will eventually be connected to a circuit-switched network. This is where the JioJoin app comes in. If you’re on a Jio-powered network, this app will essentially become your dialler. It allows calls made over data to be connected to those other networks. It is essentially the software interface needed for the hardware that Jio has employed, to work with all phones. Jio to jio calls, of course don’t need the app, but calls to any other telco (and that may cover most of your calls, initially) will need the JioJoin app. Also, the JioJoin app will provide for phones that aren’t VoLTE enabled. It’s unclear how non-VoLTE phones will communicate, but a regular VoIP call should be made. This is the technology WhatsApp and Skype use, and if you’re satisfied with calls on those apps, then you shouldn’t have much to worry about. In our experience, the lag and call quality still need improvement on WhatsApp, and often even Skype. RJio’s web page states you can use your phone’s dialler to call through the Jio Join app, but this will most likely be valid only for Android phones, where such a link is easily done. We aren’t sure how this will work on iPhones yet, since the Jio SIM we have wasn't working on iPhones when this was written. The app also allows sending texts, files, photos, and even conference calls. Sounds like WhatsApp or Skype, doesn’t it? These services are called Rich Communication Services (RCS), which is an advantage of having VoLTE networks. Jio has an advantage here, since WhatsApp and others do not have a telecom license. It is worth noting that having a VoLTE network means you can make calls over any Internet connection. With the Jio app on your phone, you can make a call over your WiFi connection, when connected. However, calls made over a non-Jio WiFi, may be counted as data on your bill. So, now that you understand how calls on the Jio network will work, let’s answer a few of the most popular questions. Are all calls on the Reliance Jio network, VoLTE calls? No. While all calls are made over a VoLTE capable network, only calls from Jio customers to other Jio customers will be VoLTE enabled. Whenever calls are made to non-VoLTE smartphones, or a circuit-switched network (legacy carriers, like Airtel, Vodafone, Idea, Telenor etc), they will not be VoLTE. Can I call from a Jio network to other networks? Of course you can, but it will only be a VoLTE HD call if your phone, the receiver’s phone, and the network allow VoLTE. So, if you call a friend on Airtel, Vodafone etc. through your Jio number, the call will eventually pass through an interconnect point, where it’ll go from an IP-based network to a circuit-switched network. This will make it non-HD. What does free voice calling mean? Free voice calling is applicable in the following cases: If you have a VoLTE enabled phone, regular calls, made from your dialler, will not be charged. Further, on a non-VoLTE phone, calls made through JioJoin will not be charged. However, if a call is made over WhatsApp, Facebook Messenger or other such OTT services, then the call will be counted as data used. How will video calling be treated? Only the video part of a video call will be charged to your data, irrespective of what app it is made from. So, you can use Skype, Facetime or even JioJoin, and only the video data from the call will be charged against your data limit. The voice part is still free. When is the JioJoin app needed? The JioJoin app is needed only if your phone is a non-VoLTE enabled phone, or if you’re using a non-Jio device to make calls through the Jio network, using the Jio MiFi device. On a VoLTE enabled phone on the Jio network, you will not need the JioJoin app. How will you get calls from a non-VoLTE network? Anyone can call you from their non-VoLTE enabled phone or network. Jio’s network infrastructure converts all calls to conform with the IP-based Jio network. They won’t be HD calls, but you’ll get a call the way you usually do. On non-VoLTE devices, the JioJoin app will take charge again. Will I seriously get HD calls? HD calls apply only to VoLTE calls made from VoLTE phones to other VoLTE phones, to VoLTE enabled networks. A call converted from a packet-switched network to circuit-switched network or vice versa, will not be an HD call. Can I roam on Reliance Jio? While it all seems pretty, it’s worth noting that international roaming is currently not possible on Reliance Jio. Common sense suggests that the company will establish networks for the same in future, but as of now, you can roam on Jio. In fact, an answer on Jio’s FAQ page clarifies the same. This, however, does not mean that you can't make ISD calls from the Jio network. Those will still work. Can I turn off mobile data on a Reliance Jio phone? No. Not if you want to receive calls at least. Also, the Reliance Jio connections will only work on VoLTE powered devices.